IIT Kanpur M.Tech Admission 2019 for 1st Semester – The Indian Institute of Technology IITK offers Post Graduate Admissions in the M.Tech programme on basis of GATE scores for the academic year 2019-2020 commencing from July 2019. 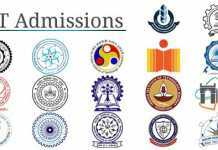 Candidates can check the complete details of IIT Kanpur M.Tech Admission 2019 like application procedure, eligibility criteria etc from this page given below. Latest: IIT Kanpur M.Tech Application Form submission date has been extended up to Apil 07, 2019. Scroll down to apply online. Candidates with a valid GATE score can apply for the M Tech program. The requirement of GATE score is waived off for the external and sponsored candidates. The Schedule of IIT Kanpur M.Tech Admission 2019 has been provided below. Schedule of IIT Kanpur M.Tech Admission 2019 is given below. Candidates who are interested and check their eligibility criteria can fill the IIT Kanpur M.Tech Admission 2019 for I Semester from the official website. Before filling the application form candidates are requested to read the instruction carefully. The direct link to fill the Application Form is given below. Click Here to register for new candidates. Click Here to login for apply online. Click Here to check FAQ’s regarding application form. Click Here to check guidelines for filling up the application form. Step 2- Submission of the Application form. Step 3- All scanned documents will be uploaded. Step 4- Pay the Application Fees through the payment gateway. M.Tech. Programme Environmental Engineering (EE): Bachelors degree preferably in Civil Engineering / Chemical Engineering / Mechanical Engineering / Agricultural Engineering or Master of Science in all areas. All candidates must have mathematics as a subject at least up to 10+2 level. Geoinformatics (GI): Bachelors degree in Civil/Mining/Electrical/Computer Science/ Electronics Engineering/Information Technology/Geoinformatics, or Master of Sciencein Earth Science and relatedareas or Geography/Physics/Mathematics/Environmental Sciences. Candidates with M.Sc. degree must have mathematics as one of the subjects at B.Sc. level. Geotechnical Engineering: Bachelors degree in Civil Engineering. Hydraulics & Water Resources Engineering: Bachelors degree in Civil/Agriculture Engineering. The candidates must have taken at least one mathematics course at the undergraduate level. InfrastructureEngineering and Management: Bachelors degree in Civil Engineering. Some candidates with Bachelor’s degree in Building Construction and allied subjects may also be considered. Structural Engineering: Bachelors degree in Civil Engineering. Some candidates with Bachelor’s degree in Architecture, Building Construction and allied subjects may also be considered. Transportation Engineering: Bachelors degree in Civil/Mechanical/Aerospace Engineering. 1. In addition to the above, a valid GATE score is also needed. 2. The GATE requirement is waived for B.Tech. graduates from IITs with a minimum overall CGPA/CPI of 6.5 and a minimum CGPA/CPI of 8.0 in the last two semesters in B.Tech. However, such candidates are not entitled for Institute Assistantship if their overall CGPA/CPI isbelow 8.0. 3. Candidates with AMIE certificates are not eligible to apply. Sample Papers for M.Tech Admission Test provided below. Candidates who are in the final year of qualifying degree and are likely to graduate by July 2019 may also apply. 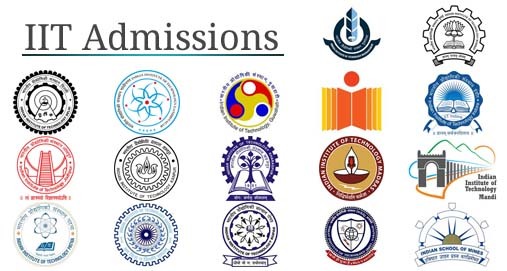 Such candidates may be considered for admission to 2019-20-I academic session starting in July 2019. The institute, being residential, requires that all registered students must reside in the campus.